14 November 2017, Hyundai's new multi award-winning i30 has added another trophy to its cabinet, winning Best Family Car under $30,000 in the 2017 Carsales Car of the Year Awards. Only days after being named Best Small Car in the 2017 Drive Car of the Year awards, i30 has again demonstrated its outstanding credentials, this time in a slightly different style of competition measuring driving enjoyment and standard features against ownership statistics. The Carsales contest brought contenders together in a closed road driving programme comparing ride and handling, braking and general vehicle dynamics, before putting them through a variety of open road drives with multiple occupants in each car. In a contest blending data with expert opinion, all the vehicles were then checked against cold, hard facts, the Carsales judges taking into account ownership and running costs, vehicle depreciation and the level of standard safety features. "Our awards are a multi-faceted process and Hyundais i30 was a standout, the judges all commenting that it easily blends overall comfort and refinement with handling ability," Carsales Editor-in-Chief, Mike Sinclair, said. "New i30 has really moved the Hyundai brand on to a point where it not only meets but exceeds the small car benchmarks," he added. We believe the Hyundai i30 sets a new benchmark for the category in its ability to balance comfort and sportiness, no easy task. The i30s second Car of the Year class win in two weeks is further great recognition for the extensive team of designers, engineers and project managers in South Korea and Europe who helped create this class-leading small car. 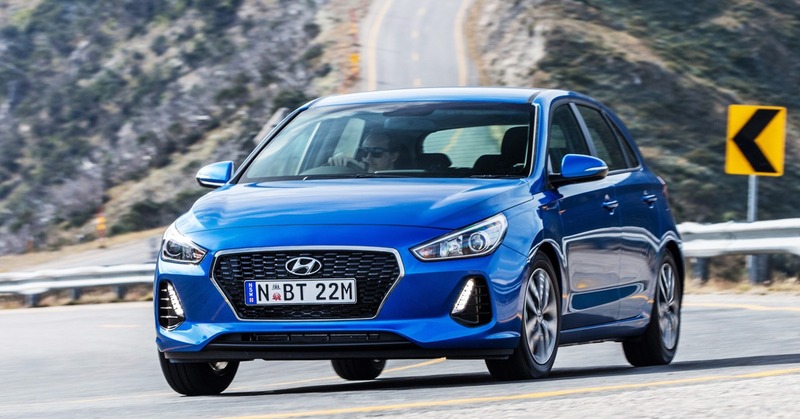 "The new, third-generation i30 is clearly winning over the critics and we are very proud of the car's achievements", said Hyundai Motor Company Australia Chief Executive Officer, Mr JW Lee. It is a genuine hit with customers, too, not only for its comprehensive suite of technology, its design and its chassis dynamics but also for its value-for-money pricing and low ownership costs. "This latest i30 really is an affordable, premium small car," said Mr Lee. We commend the team of experts who created this award-winner and we welcome all of our new i30 owners to the growing Hyundai family.